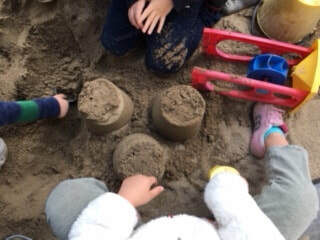 Four year olds and young fives continue to learn and experience new and exciting skills as they play with their friends old and new. ​Your child has a longer attention span and a zillion questions about him or herself and the world around them. They will learn colors, shapes, numbers and be introduced to the alphabet. Your child will have interesting and informative themed learning units on fire safety, nutrition, dental health, plants, animals and space, just to name a few. 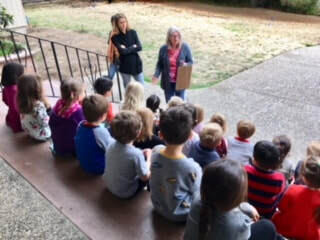 Highlights of the four year old program include chaperoned field trips to the pumpkin farm, library, and Indian Springs Park. Our year-end all school picnic is a real celebration!! Need more days? You can sign up for additional days if space is available!